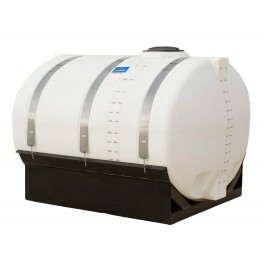 Ace Roto-Mold 1250 Gallon Elliptical Tank, part# HE1250-78 is a white portable cradle tank. It's primarily used for the storage and transportation of water and chemicals. This Elliptical Tank is used in a variety of industries such as construction, auto detailing, manufacturing, agriculture, fire suppression, lawn care, and pest control. It's commonly used for hauling chemicals, diesel exhaust fluid, fertilizers, and water in non-DOT applications. The tank is often mounted to trucks, trailers, tractors, ATV's, and agriculture equipment. 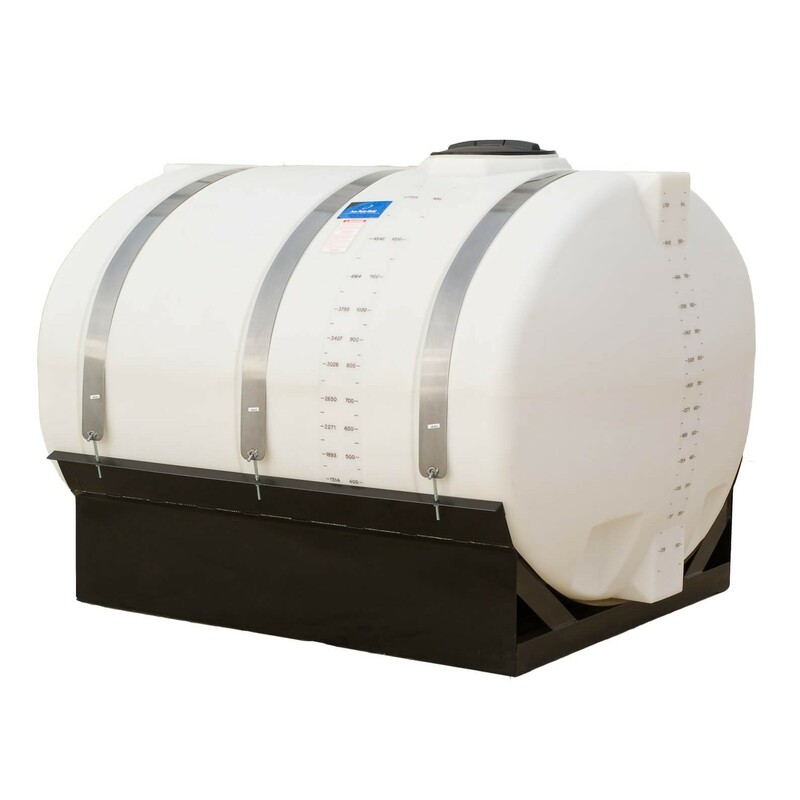 The Ace Roto-Mold 1250 gallon portable skid tank has a specific gravity rating of 1.7, making it safe for chemical transportation and storage. It features a 16" threaded vented manway, 1.25" inlet, and 2" outlet. A skid and support bands are required to secure the cradle tank during transportation and stationary use.